Watching the Emmy Awards last night was like taking a sedative. The snooze fest was full of glitz and glamour, and the usual suspects were there: Mad Men, Jon Hamm, Nurse Jackie, Edie Falco, Kyra Sedwick and all things HBO, except for Entourage, but that's another rant. What was missing was people of color. We weren't surprised by the lack of color, because other than Wanda Sykes and Sofia Vergara, there were few people of color nominated. We're not completely mad, because who needs validation from the academy? We've been rolling with Mad Men and The Daily Show since before it was all the rage. Besides, if Ed O'Neill can get overlooked for his brilliant comedic turn in Modern Family, perhaps we shouldn't be surprised that Vanessa L. Williams and America Ferrara of Ugly Betty fame were missing from the nominations. 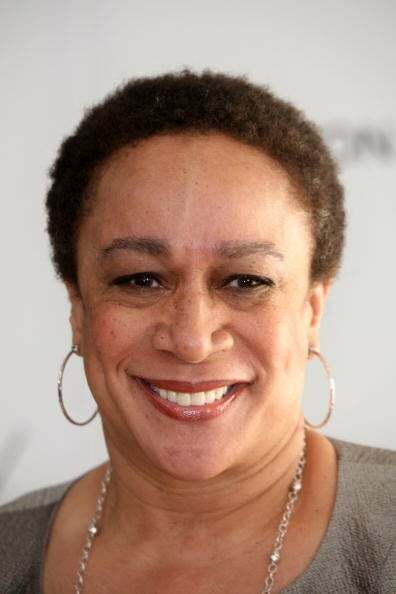 We won't even mention S. Epatha Merkerson's amazing final season as Lt. Anita Van Buren on Law and Order or Rutina Wesley helping to make Anna Paquin and the bloodsucking crew on True Blood look really good. Memo to the academy: Wesley's character, Tara, is more than just a BFF. Speaking of True Blood, two snaps up for Nelsan Ellis, whose character, Lafayette, is a tour de force on the show. Strangé, dahling, strangé! At least we did get to see Boris Kodjoe and Gugu Mbatha-Raw, who will star in J.J. Abrams' Undercovers this fall, present awards. They looked good, and their presence highlighted just how few people of color in front of or behind the camera were nominated. For the record, Tanika Ray on the red carpet acting like an overgrown schoolgirl does not count.